If you have never found yourself in need of the services of qualified locksmiths in Dripping Springs TX, it is just a matter of time until you do. Nearly everybody will eventually find themselves locked out of a car, home, or office, or have the need to change, repair, or upgrade locks. New homeowners often rekey exterior doors and install and security systems as well. At South Austin Locksmith, our local, mobile team in Dripping Springs can perform all these valuable services and much more. When the need arises – whenever it arises, you need a qualified 24-hour locksmith to be there at the ready to help. Our courteous and efficient techs each possess at least five years’ experience and are ready to assist you anytime you have the need. We specialize in all manner of emergency locksmith services in Dripping Springs and can, under most circumstances, have a local locksmith on site to assist you within 30 minutes or less. If you find yourself locked out of your car or home, do not attempt to gain entry on your own. Doing so can result in injury or damage that can be far more costly than a simple call to a qualified mobile locksmith. 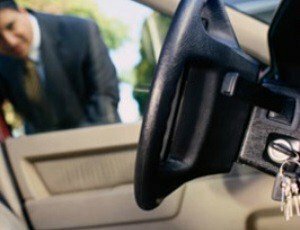 Auto lockout – Can’t get into your car? We have the right tools to get you back in safely and without damaging your vehicle’s doors or locking mechanisms. Even if your car is equipped with electronic or high-security locks, we can get you back inside and on your way quickly. Home lockout – Being locked out of your house can be stressful and even frightening, especially late at night. When you call South Austin Locksmith’s local team in Dripping Springs, you can rest assured that you will be back inside soon. Commercial Lockout or security system failure – If you are locked out of a commercial building or office or if your security system is malfunctioning and denying you entry, call us. We have specially-trained staff who can help you gain entry and also provide quality repair services even on the most state-of-the-art commercial locks and security systems. From simple car lockouts to more advanced security services, we offer top-quality emergency and automotive locksmithing services that will help get you back on your way quickly and safely. Many people are not aware that locksmiths can even replace transponder and microchip-embedded car keys, usually with just the vehicle’s VIN number as a guide. Our mobile units and experienced technicians can service all types of vehicles whether foreign or domestic. And our special equipment allows us to assist you with laser cut car keys, transponder car keys, push to start car keys, and car fobs! Our commercial locksmith experts are able to go far beyond basic lockout or security assistance. The sheer number of home security devices that can be installed and serviced by a locksmith might just surprise you. Whether inside or outside the house, if it can be secured, we can service it. We can also install new locks and security devices and perform many typical repairs while you wait. Whether you are experiencing a lockout emergency or need to arrange for a scheduled repair or installation, South Austin Locksmith has you covered. And, we are available for top quality garage door repair and installation needs! No matter what the emergency or application, you can trust us to perform every service and installation with professionalism and expertise. Call us. We are here 24-hours a day, seven days a week, 365 days a year to assist with any and all of your locksmith and security-related needs. You can also fill out a simple form to request our locksmith services online. And don’t forget the valuable lock services that we can provide for you at a moment’s notice such as installations and repairs for high-security grade 1 locks, profile cylinders, mortise locks, deadbolts, and keyless entry systems for homes and businesses. 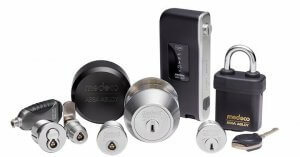 We are equipped to work with all of the top name lock brands on the market. That means, we can service such brands as Clopay, BiLock, Lockstate, ASSA ABLOY, Mesa, Carriage House, Keyscan Inc, 3x Logic, Tyco, IDenticard, Camden Door Controls, Yale, Schlage… Just to name a few. If you need a locksmith in Dripping Springs Texas or any of the surrounding communities, call us. We arrive after requests for emergency calls in 30 minutes or less regardless of the time of day or night, and we provide quality, affordable contract lock services on your schedule. We are firmly committed to providing fair and upfront prices for all of our services and our friendly technicians will always provide honest and dependable advice to help you choose the best service for your needs and budget. We are also bonded, insured, and licensed for your added protection. Don’t let the safety and security of your home, car, or person be compromised by faulty locks and security measures or when accidents occur that require lockout assistance. Look to the professionals at South Austin locksmith to provide safe, affordable solutions to your security-related problems and needs. Dripping Springs https://south-austin-locksmith.com/dripping-springs/ 3.9/5 based upon 11 reviews.